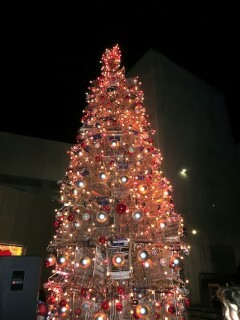 Get Ready, the Holidays are upon us! The AKFF has the Holiday Hit List Ready for you with 4 HOT and Happening Events for 2015! All of these events are after Thanksgiving – Mark Your Calendars now! AKFF Blog will do features on select events closer to the date. 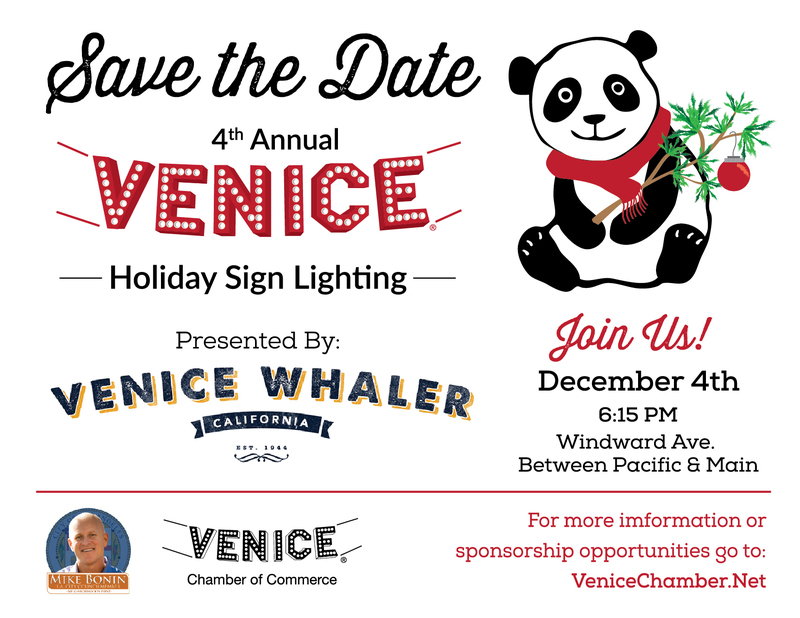 It’s the 4th year in a row that the Venice Sign Lighting will take place at Pacific Av and Windward Circle for a festive Christmas colors of red and green on the famous Venice Sign to light up the night! Each year a local Venice Celebrity will help light the sign – last year, Pink lit up the sign along with Councilman Mike Bonin. Festivities start at 6:15pm with the sign lighting at 8:00pm. There is also a Toy Drive, so make some local kids happy by bringing a new unwrapped gift! There will be a booth for the toys. Hint: Panda bear. Yes, it’s also First Fridays in Venice on the same night as the Venice Sign Lighting. It’s all good since it’s Venice and there’s time to do both! 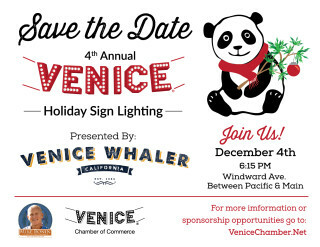 You can walk between Abbot Kinney and the Venice Sign; it’s about 10 minute walk if you got gym shoes on so get on over there both Venice 2015 Holiday events will be fun! AKFF Blog will do a feature the week of 1st Fridays with more deets on things to see and do on AK. 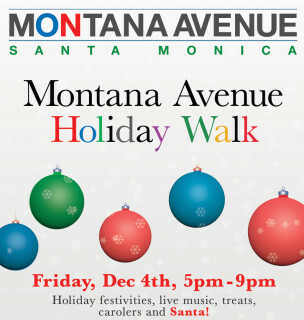 The Annual Montana Ave Holiday Stroll is another fun one! Yes, the AKFF Bloggers check out all 3 events on Friday and so can you for maximum fun and getting into the Holiday spirit! 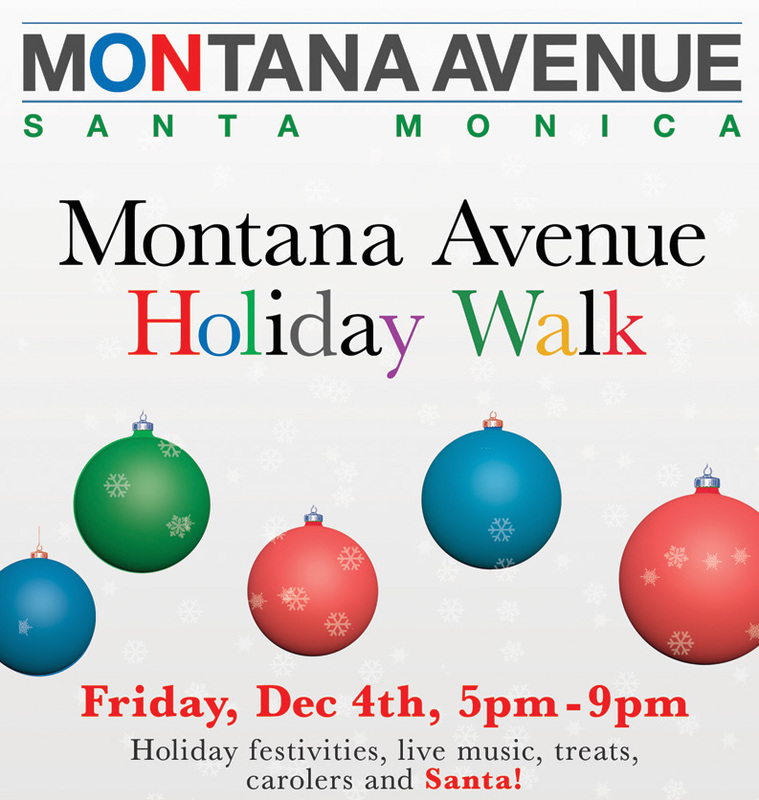 Stroll the shops on Montana from 6ht to 17th streets (yes it’s alot of ground to cover so start early) with goodies, live music peppered throughout Montana and more! 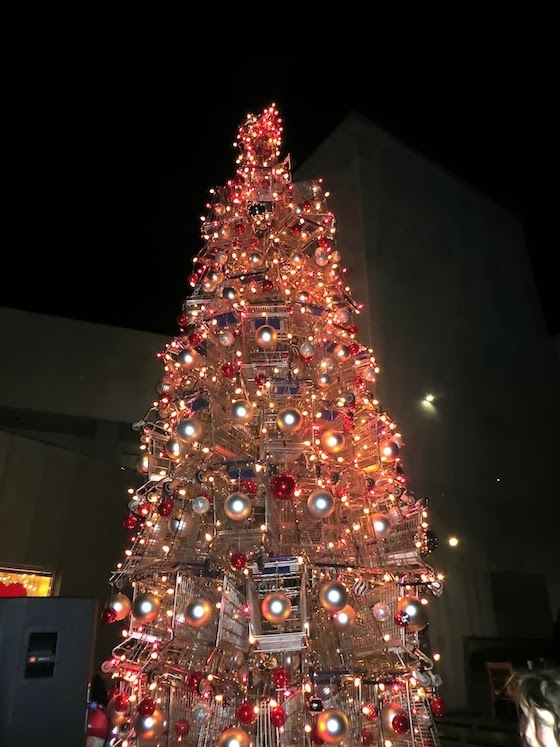 The annual Main Street Tree Lighting takes place at the California Heritage Museum Lawn (next to the Victorian), with the Samohi Choir and The Caroling Company. It’s a festive all ages event. Get there early for pictures of the kiddies with Santa at 5:15. At 6:25pm Candlelight Walk led by Santa to the Edgemar Courtyard for live music and the start of Holiday Parties at various Main Street businesses from 6- 9pm. Get your Christmas shopping on in a festive atmosphere with treats and great sales too! If your company is interested in the AKFF covering your Holiday Event and reaching thousands of Los Angeles Millenials that love Venice and Santa Monica get in touch with us ASAP! Marvelous Mar Vista Home with Stunning Views!